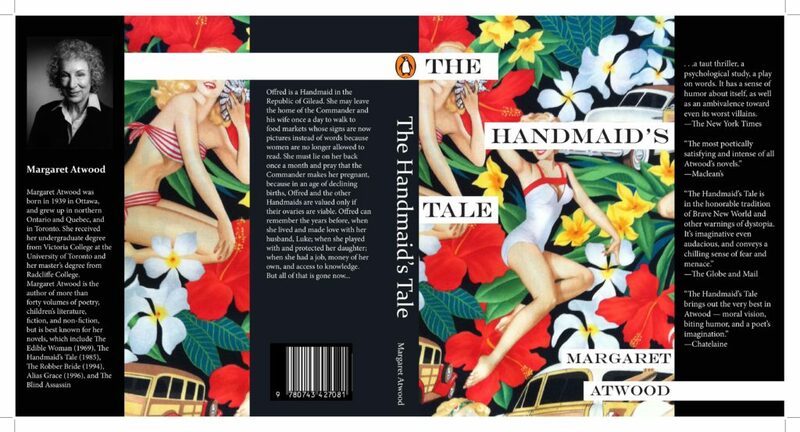 The Handmaid’s Tale is a dystopian novel that focuses on themes of female subjugation. Women are in a place where they are only valued for their bodies. This cover takes the desolate and grey imagery from the book and juxtaposes it with colorful pinup wallpaper. The theme of women being used for their bodies is still voiced through the pinup women and the placement of the text over the heads of the women.